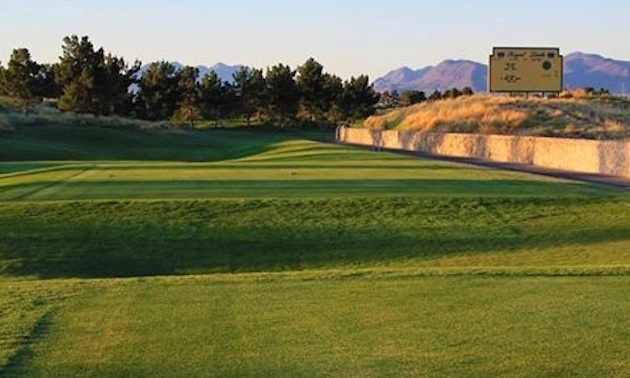 Royal Links Golf Club in Las Vegas enables everyone to play the best 18 holes from past British Open tournaments. Las Vegas, Nevada, has many theme hotels. Why not adopt the same approach to golf courses? 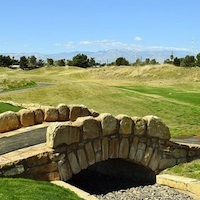 Bear’s Best already has the best of Jack Nicklaus’s desert courses, so let’s add the best holes from the British Open. What golfer would not like to play Carnoustie, Turnberry, Royal Liverpool, Prestwick, Royal Lytham, Muirfield and, of course, the Old Course at St. Andrews, Scotland, the home of golf? On entering Royal Links, a castle and a replica of the famous Swilcan Foot Bridge at St. Andrews gives the impression that you are about to play the Old Course. Instead, you are about to play 18 very different holes inspired by past British Open courses. Walters has re-created (as close as copyright laws allow) the holes that have defined the British Open. The opening hole at Royal Links is based on the 10th at Royal Lytham in England. St. Andrews' famous Road Hole is the 10th hole at Royal Links. Just like the pros, you'll have to hit over the road and sign and avoid the pot bunkers. From the Royal Troon Golf Course, the Postage Stamp green is Hole No. 8, the same number on both courses. Each hole has made a major contribution in allowing golfers such as Phil Mickelson, Ernie Els, Darren Clarke and Tiger Woods to win the British Open in recent years. 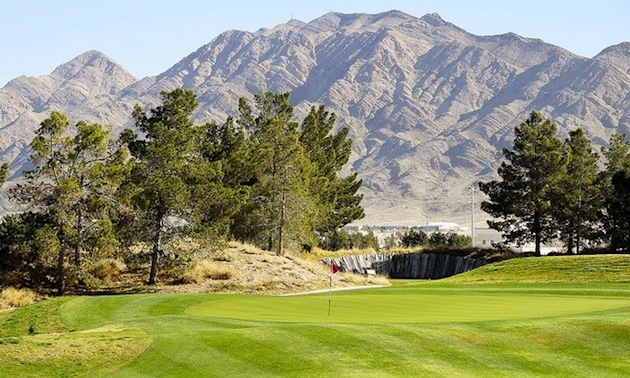 This unique course was rated by Golf Magazine as the best public golf course in Nevada in 2010 and ranked 13th in a list of the top 50 courses in the United States. Royal Links is a favorite of David Feherty from CBS Sports and the Golf Channel. Tiger Woods has the course record of 67, set in February 2001. 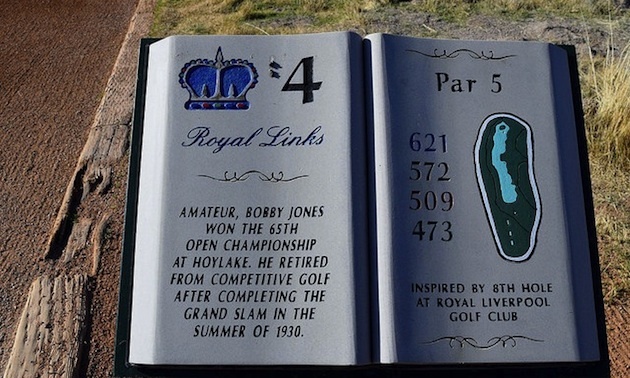 On each tee is a plaque with a brief history of a golfer who played the hole and went on to win the Open. For example on the 4th, corresponding to the 8th hole at the Royal Liverpool Golf Club, is a lengthy par 5 of 621 yards, with only one pot bunker. A caddy book, provided by the course, will help explain the history and layout of each hole. If you need help getting around the course, a forecaddie or riding caddie is available at additional cost. If you want an attractive young lady to be your caddie and hostess, hire what Walters calls a “Par Mate.” These women are familiar with the course as well as the game of golf. This is a links style course with no water hazards. It is a good driving course, with hard fairways of Bermuda grass. The fairways are lined with small hills or bumps, which help the ball roll back onto the fairway. The vegetation in the rough is a tangled mess of fescue grass and should be avoided. Hole 11 at Royal Links is inspired by the 6th at Royal Cinque Ports Golf Club. 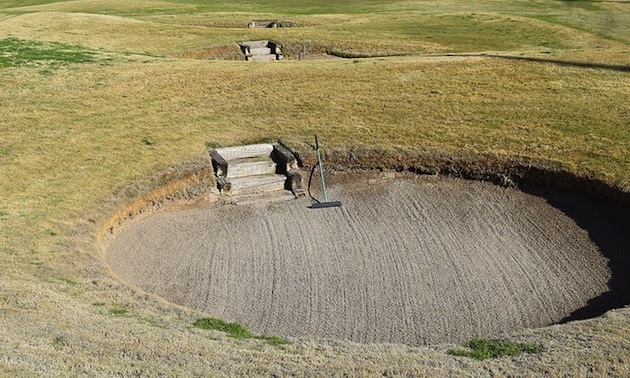 The biggest challenge are the 108 pot bunkers, many of which cannot be seen. 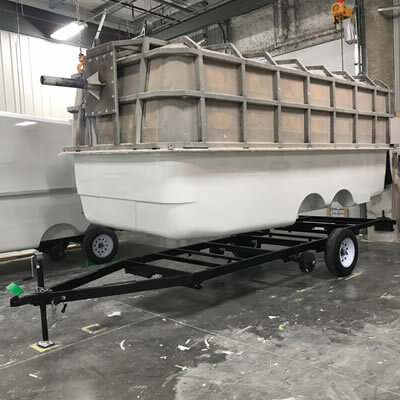 Pot bunkers can be up to six feet deep and have a steep lip. It is best to come out sideways. The most famous bunker is the massive and deep Hell Bunker. At St. Andrews the Hell Bunker is located on the 14th fairway, but at Royal Links this daunting bunker is located on the finishing hole. Other bunkers are equally famous, such as the six-foot-deep pot bunker guarding the 17th green on the Road Hole. It was here in 2000 that David Duval took four shots to get out of the bunker and subsequently lost the British Open. The greens are hard and fast, undulating and tiered, and measure 10 on the stimpmeter Most greens are not overly large, but the collection areas attract many balls. 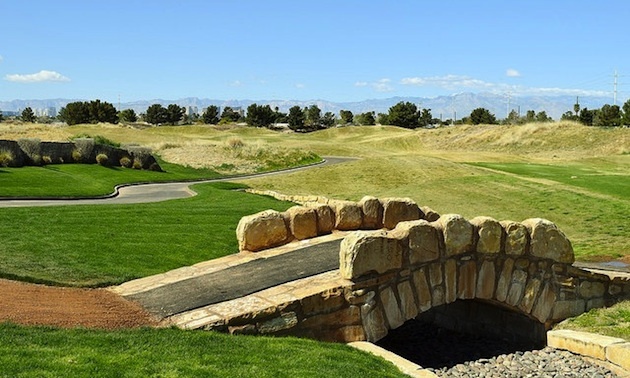 It is possible to both fly the greens or bump and run, a nice choice on a desert course. Royal Links is not easy, with a slope of 135 over 7,000 yards, but it is playable and enjoyable. An amazing replica of the famous Road Hole at St. Andrews. 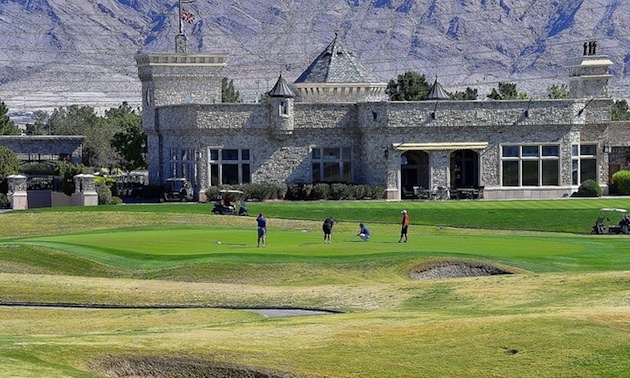 The course is only 20 minutes from the Vegas Strip, but seems a world away from the hotels and casinos. When you walk into the Castle Pro Shop, you walk past a statute of old Tom Morris and the claret jug. 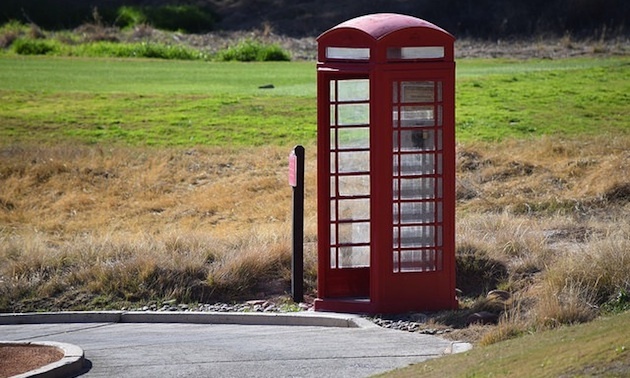 Welcome to the British Open, but remember—this is Vegas. The greens run true, there are plenty of yardage markers, sand in the bunkers is soft and the lush grass makes wedge play easier.